As someone who has lived far away from family + friends, I can attest to how wonderful it is to receive a care package in the mail. My mom used to send me the best care packages filled with magazines, my favorite candy, and the occasional Starbucks gift card (thanks Mom!) to make the distance between California + Utah feel a little bit shorter. And even though I am now back in California, I still have several friends that live out of state, so I am always looking for opportunities to send a little happy mail their way. 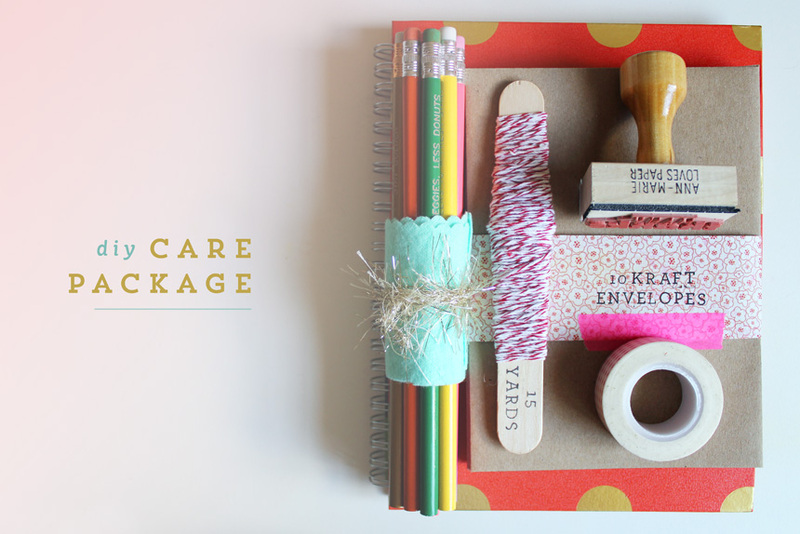 The key to care packages is that they don’t have to cost a lot; it truly is the thought behind the gesture that counts! 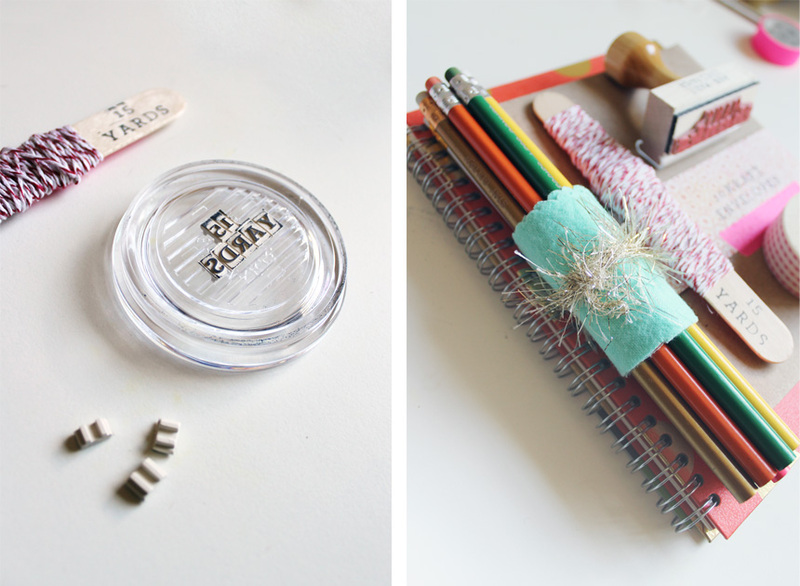 In fact, one of my favorite things to do is to “shop” my own supplies. I have waaaay more stamps, pencils, twine, washi tape, and envelopes than I’ll ever know what to do with, so I pass them along to someone who can put them to good use! 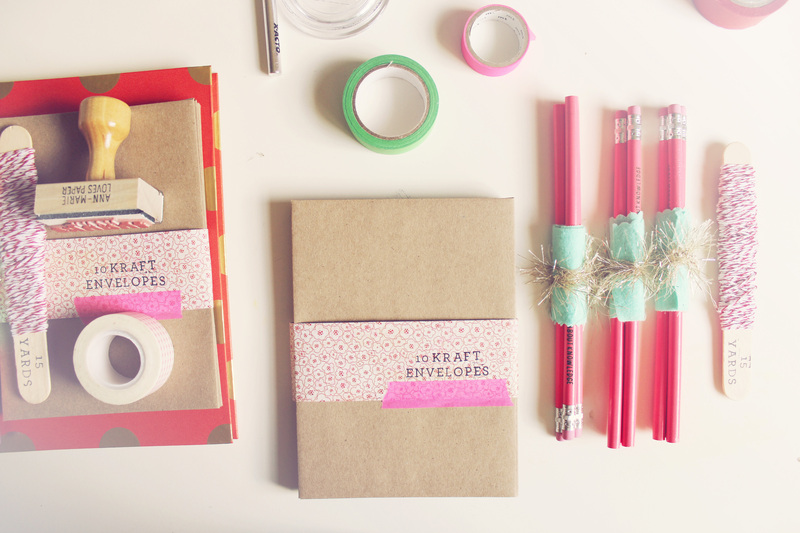 And of course, with all these fun supplies comes the opportunity to create fun packaging. I especially love adding descriptions to my items (i.e. “15 yards”) with Martha Stewart’s Crafts Your Own Stamp Set. . There are no rules and you don’t even need to send the package to a distant location. It might be fun just to drop a box off on a good friend’s doorstep to make their homecoming a little bit sweeter. Happy mail for the win! Cute! I love it! Happy mail is the best!